As technology develops, Paul Cohen and Sophie Nappert consider the “brave new world” of the not-too-distant future where artificial intelligence meets international arbitration and technology potentially supplants the role of arbitrators, counsel and experts. Your average lawyer’s office routine looks very different from 50 years ago: think of word processing, e-mails, voicemails and video chats, to name a few obvious changes. Your average arbitration proceeding, by contrast, looks very similar to what it was then: everyone shows up in one place at an appointed time, for in-person hearings before a panel reading hard-copy documents from A5 bundles. Few practitioners would imagine that is about to change. But we think, for better or worse, that they are probably wrong. We might – just might – be on the verge of a paradigm-shifting process in which increasingly sophisticated artificial intelligence supplants many of the functions of arbitrators, counsel, and experts. You may believe such fears are legitimate for blue-collar workers displaced by automation but sit firmly in the realm of science-fiction for the professional classes. Think again: today's doctors increasingly face competition from diagnostic tools that perform better on many metrics than human doctors. And in the United States, sophisticated document production programmes have already begun to supplant contract lawyers. A recent report by Carl Frey, co-director of the Oxford Martin programme on technology and employment at Oxford University, highlights how exponential improvements in machine learning mean highly trained workers are at risk of having their jobs automated, with judges and magistrates listed as at medium risk (40.1%) along with detectives, economists, computer programmers, commercial pilots and personal financial advisers. Most at risk are insurance underwriters, loan officers and credit analysts. We can stick our heads in the sand and ignore this – after all, if the changes are a couple of decades in coming, older arbitration practitioners will be safely retired. Or we can face these changes head-on, and ask ourselves hard questions about what we ultimately want from the arbitral process, and what it can deliver. Do we want flawlessly logical, entirely dispassionate outcomes? Unanswerable legal reasoning? A search for the truth (whatever that might mean)? And what is the place of equity and empathy – which presumably, even hugely sophisticated machines can’t replicate – in the arbitral decision making of the future? Technology also causes us to rethink the intuitu personae nature of the arbitrator’s mandate and how much of it can be relinquished. It had been said that writing one’s own awards is the safeguard of intellectual integrity and that arbitrators who confer this task on an assistant are no longer performing their decision-making role. How much more so if they are led through the process and through true or false testimony through a computer programme? We are on the cusp of a time where technology in arbitration goes from being merely utilitarian to truly transformative. This article considers the role and place of the human mind and its decision-making capabilities alongside the new possibilities. It is indeed difficult to predict how, and when, a new technology will affect the practice of arbitration. This is because there is usually a lag time between the introduction of new technology and its penetration of public consciousness and permeation of the workplace. Hence, the first video conference technology was demonstrated at the 1964 World Trade Fair; email was created in 1969 under the auspices of the US Department of Defence (so was not widely available at first); the mobile phone was invented in 1973 and the personal computer in 1981. In each case, it took several decades and a drop in price before the new technology was widely used. For example, a 20-inch flat-screen monitor – of the kind now routinely used for computer screens – cost approximately US$1,200 in 1999; by 2011 it cost US$84. Exceptions to this slow pace of permeation are the worldwide web, which exploded soon after the creation of the hypertext transfer protocol which is its backbone in 1991 and the iPad/ iPhone, which have become prevalent within a few years of Apple releasing its touchscreen technology in the late 2000s. With their conservative ways, lawyers are slower than some to embrace new technologies. Members of the international arbitration community, stitching together a hybrid series of procedures from disparate traditions, are perhaps particularly unlikely to embrace technological advance for fear of introducing change to the process that could lead to challenges in local courts at the enforcement stage. To be sure, there have been incremental changes. Nowadays, parties exchange pleadings via e-mail, and most communications from arbitrators are electronic. Testimony and argument in a hearing are routinely tracked via software that instantaneously transcribes what counsel, witness, and arbitrators are saying – although until recently such technology still depended on a court reporter to feed in the transcription to the computer screen through an old-fashioned stenography machine. Technology is also used extensively to manage and present documents. The NetCase initiative at the ICC is a virtual case room that provides a secure online environment for case filngs for those who agree to use it. Another wonderful innovation has been the use of memorials with hyperlinks to exhibits. But the technology deployed so far has its limitations. One would have expected it, for example, to have had a real, positive impact on the time and costs of arbitration. The reality, as we all know, is that these are on the rise. And while information is now communicated more instantly, no technology to date has speeded up the process whereby arbitrators sift and digest it and arrive at a decision. The transformation that lies ahead comes in two forms. First, technology that can shrink and erase the space between far-flung participants in arbitral proceedings. Second – and even more radical – technology that can supplement (and ultimately replace) the reasoning, argument, and decision-making capacities of counsel, arbitrators, and experts. We can see where the fault lines of a progressive versus conservative legal landscape will lie with one piece of technology whose use straddles the boundary between the traditional and the transformative: video conferencing. Technically feasible since 1964, this became commonplace only after the turn of the millennium. As the technology has improved and spread, it has increasingly been offered in arbitration as the mode for examination and cross-examination of witnesses who have difficulty appearing in person at hearings. The use of video technology has provoked an interesting split in the opinions of arbitrators and counsel alike. On one side stand traditionalists who believe that it is fundamentally unsound to question a witness from a remote location; on the other side stand enthusiasts who believe that video technology will help eliminate much of the time and expense that bedevils arbitration hearings (and of course, several practitioners stand somewhere in between). For a while, the traditionalists had a point. The video technology in use was relatively primitive, prone to breakdown and delay, and hardly an ideal medium for the art of cross-examination. From about 2010, however, newer and better video technology has enabled multiple users from disparate locations to meet and confer by video, in high definition and with no appreciable time lag. This newer generation of video technology largely eliminates the objections that many arbitrators and counsel had initially advanced against the use of video conferencing in arbitral hearings. Furthermore, it makes feasible the possibility of not only examining witnesses remotely, but also conducting arbitrations with several of the participants and stakeholders in different locations. Nonetheless, there remains a sizeable portion of practitioners who are uncomfortable with the prospect of conducting all or part of an arbitral hearing by video. These objections all boil down, one way or another, to the loss of in-person contact that follows from a virtual proceeding. But it is at this juncture in the development of technology in arbitration that objections of this type exposes a deeper underlying belief. As noted above, the newest wave of high-definition video conferencing provides as clear a picture of a participant on the screen as we would get if we were sitting right next to her in the room. The participant’s facial expressions, body language, and voice tone are, if anything, magnified by the medium of the video conference. It is no longer tenable with this kind of video to object that one cannot process a witness’s non-verbal and subliminal cues. As technology continues to develop, furthermore, we face the prospect of even more immersive and realistic technology to simulate in-person interaction. As we write, we stand on the verge of a revolution in virtual reality technology. Some of technology’s titans, such as Google, Facebook and Microsoft, have released virtual reality headsets that represent a step-change in current technology, vying with independent outfits such as Magic Leap to develop the cheapest and most realistic devices. The first such headsets may be more suitable for video games and visual curiosities than for virtual hearings but it is unlikely to take long before they can effectively replace video conferences as proxies for in-person meetings – providing a much more realistic, real time feel. When the cost and quality of such technology make it feasible to conduct "headset hearings,“ any objection about the immediacy of the medium and the difficulty of interacting with others in a virtual hearing will be gone – although a person might find herself in an empty room on removing the headset. All that would be left, then, as a potential objection to virtual hearings, is an indescribable preference for the “feel” of dealing with a witness in person rather than remotely. The notion behind this is that there is an ineffable component to in-person human contact, in which the participants are afforded a better chance to evaluate and assess the qualities of their interlocutors than they would be by phone, video, or hologram. If the arbitrators make clear this preference, then parties and their counsel will keep supplying witnesses in the flesh to meet it. One of the areas where technology is most on show in arbitration at the moment is in advocacy. With clever use of computer generated images or diagrams, complex facts can be simplified and a case made much “sexier”. An interactive video of a defective manufacturing plant will likely press home the message of the plant’s failings more effectively than would a dry, oral recitation of how the construction went wrong. A video of the devastation wrought by a natural disaster will carry more visceral weight in a dispute about insurance coverage than a spreadsheet setting out the damage in figures. In the short term future, we can expect ever more sophisticated visual pyrotechnics to assist parties’ cases. But what effect does this have on decision making? The answer is, not always the intended one. Tribunals are mindful that a technologically savvy party may have an advantage over an opponent who is less familiar with, or has less access to, technology. Slick IT may mask a weak case on the merits. Thus, arbitrators may consciously avoid being “dazzled” to ensure that the parties are on a level ground. Few would disagree with this instinct to ensure equality of arms though in practice it is not always straightforward to separate style from substance – the reason technology is so effective. But there is a risk that the arbitrator may end up giving more credence to the party with flipchart and marker than the one with an interactive video. Arbitrators’ suspicion of technology can also be manipulated. The party allegedly deprived of its sole asset by the expropriation of a powerful state may want to project a lack of means as a message about its plight to the tribunal. The absence of technological “bells and whistles” might be a conscious ploy – just as lawyers for wealthy defendents in American jury trials often wear deliberately shabby suits to convey the message that their client cannot afford to pay them a fortune. It must be remembered, also, that technology provides only one means for unbalancing the equilibrium between parties. There are others. Do arbitrators exercise a similar compensating function when one side’s advocates consist of seasoned and accomplished veterans and the other’s are new to arbitration and unknown? Do they go the extra mile to try and unpack an advocate’s argument when he or she is less fluent in the language of the arbitration than opposing counsel? If the assessment of evidence and decision-making role of arbitrators is, as argued, increasingly usurped by artificial intelligence, technological advocacy aids – indeed, any advocacy – will become increasingly redundant. A computer is not susceptible to emotion and will be no more swayed by a video than a transcript. There is no sense playing to a machine’s “System 1” biases – as Daniel Kahneman labelled the unconscious decision-making and processing parts of the brain in his 2011 book “Thinking, Fast and Slow” – because of course it has none. There is certainly no need for flamboyant rhetoric. The current generation of advocates in arbitration thus face a rollercoaster ride with technology. Today and for a few more years, they can make the most of technology and “Jedi mind tricks” to move and persuade tribunals. But the march of technology will gradually diminish their power and could eliminate their role all together. Is a witness credible? Most people consider themselves good judges of character and able to distinguish a truthful witness from an untruthful or evasive one. Certain classes of people – police officers, intelligence professionals, and (to a lesser extent) litigation and arbitration specialists – are adjudged to be more competent than the norm in sifting out salient and truthful details in a complex fact pattern. The evidence is otherwise. Studies have shown that most people perform no better than chance in distinguishing accurate testimony from the untruthful variety. And professionals thought to be specialists in this kind of factual and testimonial evaluation turn out not to be much better at it than the man on the street. The cues that we take to be indications of false or misleading testimony – visible nervousness, failure to make eye contact, frequent blinking, fidgeting – often signify something else. To be sure, some people exhibit these signs when they lie. But some do not; and some exhibit them even when their account of an event is truthful and accurate. Sometimes, a witness is nervous simply because she finds it stressful to testify. But because we take such cues as proxies for the pattern we are looking for (in this case, untruthfulness), we associate the symptom with the wrong cause. At the same time, our unconscious preferences and prejudices often pull us in a direction of which we are not consciously aware, and for reasons of which our conscious brains would greatly disapprove. We can see the effects of the unconscious in a number of experiments that social psychologists have performed over the past two decades. For example, one American study sought to test subconscious prejudices in hiring practices by sending out thousands of fictitious resumes to potential employers. For each position, two sets of resumes were provided including identical qualifications, except the name of the applicant on one was stereotypically white and on the other stereotypically African-American. The study found that “white” applicants were 50% more likely to receive callbacks for interviews across all sectors of the job market. Lest we jump to the conclusion this was a distinct and uniquely American outcome, a Canadian study from 2011 showed a similar preference for job applicants with English-sounding names over those with Chinese or Indian ones. In the same way, humans exert unconscious gender bias. In a similar study to the ones described, researchers reproduced the resume of a real, female PhD student hundreds of times, in some cases with a male name at top. Both male and female academics rated the qualifications of the “male” applicant more highly than the female one. What was striking was that these biases evidently operated on elite and sophisticated parts of the population that ought to know better. We therefore should not be filled with confidence that arbitrators are immune even though they would consciously find racism, sexism or overtly biased beliefs repugnant. While questions of race, gender or religion are rarely at the heart of international arbitration, the issue is whether they unconsciously attribute greater weight to the testimony of the white witness, the advocacy of the male counsel or the opinion of a co-arbitrator from the same religion, legal tradition or social educational background. Nor is it just the unconscious that may influence arbitrators. A notorious study of Israeli parole judges over an eight-month period revealed their conduct followed a predictable pattern. After starting work in the morning, they would grant applications for parole at an average rate of 65% with the number of successful applications falling before lunchtime. After lunch, an applicant’s chance of parole rose again to 65% before steadily falling again. The severity of the applicants’ crime bore no relation to the order in which they came before the judges; they were simply more likely to be merciful when they were not hungry. But what does all this have to do with technology? The answer is that technology is reaching a phase in which devices can not only compensate for human shortcomings in decision-making, but also substitute their own, more accurate evaluation of the facts. For some time, it has been possible to use polygraph machines to detect minute changes in a witness’s voice, mannerisms, gaze, heart rate and skin temperature that may help identify when he or she is lying, prevaricating or struggling to remember. But the results of such machines have yet to be deemed admissible as evidence in US courts – or, to our knowledge, in arbitration – because of the risk that such physical changes might denote something else. Despite decades of improvement and refinement, the machines are simply a more powerful of our eyes and ears that can detect such signals but may jump to the wrong conclusion as what they mean. But the state of lie-detection technology has recently turned a corner. Using functional magnetic resonance imaging (fMRI) machines, scientists have been able to identify regions of the brain that are involved in creating and processing a lie. The fMRI can detect when those regions are activated, and therefore can – in theory – distinguish a truthful answer from an untruthful one. Companies such as Cephos and No Lie MRI have marketed this technology as a reliable alternative to polygraph machines. fMRI technology is still far from perfect. Lawyers and scientists alike have questioned its accuracy; courts have yet to admit its results into evidence; and its current physical limitations – subjects must lie still inside a large tube while answering questions – make it impractical for witness testimony. But, like almost all other technology, it is likely to become more greatly more accurate, more practical, and more affordable in years to come. Assuming that this kind of technology follows that common trajectory, we will soon be presented with machines that can reliably assess the quality of a witness’s evidence. What then? There is a host of questions that might arise from the use of such technology in an arbitration context. Could parties be forced to use it? Could arbitrators face a challenge from a party for using the technology on the basis that they were abdicating their responsibility to adjudicate the case to a machine? Or could they face a challenge for not using it on the basis that they ought to use every tool at their disposal to determine the truth? Would counsel hesitate to advance certain witnesses on the basis that they might not survive the scrutiny of a machine – and would that be a bad thing? Would arbitrators draw an adverse inference from a witness willing to testify but not to use the machine? Until now, we’ve considered how human arbitrators can use technology to assist their decision-making. Looming not much further on the horizon is a more sophisticated category of technology that could provide a substitute for them all together. Let us again clarify that this is not the idle speculation of science fiction. Over the past five years, computers have begun to do the jobs of white-collar professionals with notable distinction. IBM's groundbreaking Watson computer, which beat a series of champions in a popular American game show in 2011, is now being used to diagnose medical conditions. IBM and New York’s Memorial Sloan-Kettering Cancer Center have teamed up to improve Sloan-Kettering’s diagnostic capabilities. In addition to the baseline information that it has been given, Watson absorbs all the information on new trials from peer-reviewed medical journals, information that it would take each doctor some 160 hours of reading each week to in order to keep up. Watson is now estimated to diagnose cancers with an accuracy rate of 90%, as opposed to a 50% rate for a doctor. The implications for lawyers should be obvious. As with medicine, law relies upon a vast trove of written knowledge that no single person can review and retain. As with medicine, there are differing and competing interpretations of data, coming from multiple sources and pointing to different conclusions. As with medicine, different stakeholders will favour different options, with substantial costs and expenses accruing to some stakeholders, and a substantial financial windfall to others. A shallow magnitude 4.7 earthquake was reported Monday morning five miles from Westwood, California, according to the U.S. Geological Survey. The temblor occurred at 6:25 a.m. Pacific time at a depth of 5.0 miles. Written by a computer programme, the article appeared a mere three minutes after the earthquake hit – impressive journalistic speed. And while the prose will not win any Pulitzer Prizes, it is both grammatically coherent and perfectly readable. As the earthquake report shows, computers nowadays are doing far more than the tasks of logical inference and calculation they are credited with in the popular imagination. They can even generate artistic images. With the progress of artificial intelligence programmes such as Watson, it is likely that on the current trajectory, a computer would be able to serve as a fact-finder and arbitrator on its own within the next two decades: sifting through the applicable law more thoroughly, assessing the credibility of witness evidence more accurately, and deliberating a great deal more quickly than human arbitrators. 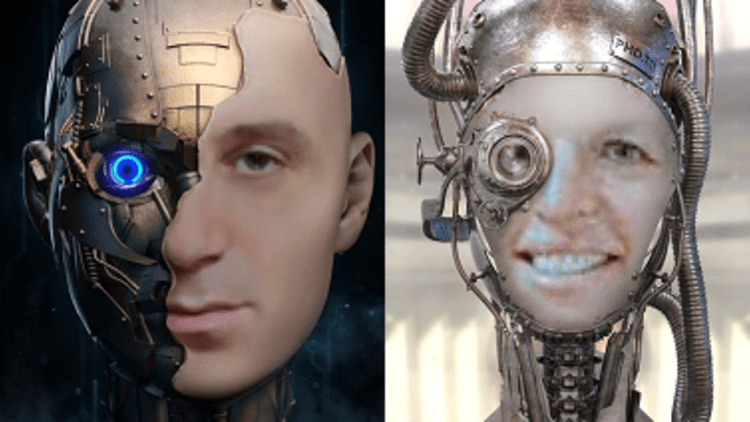 Why, then, might parties object to the use of such a machine to decide their disputes? One answer is that we have a reflexive preference for human control, irrespective of the knowledge that such control is limited and fallible. We can see this in the common fear of flying even though, statistically, the chance of dying in a plane is vanishingly small and the chance of dying in a car accident 500 times greater. Nevertheless, the notion of being at the mercy of a pilot and onboard machinery stokes the fear of helplessness. An interesting scenario might present itself if one party were willing to use a machine as an arbitrator, but another were not. Would the arbitral institution be able to impose a non-human arbitrator on an objecting party, or would that constitute an abuse of the process? It might be that parties and institutions adopt a hybrid approach, with parties appointing humans and a computer serving as the third member. Less radically, a human tribunal might consult with a computer programme as a supplement to, or check on, their decisions. The computer might therefore perform a role similar to the one for which tribunals use (and occasionally abuse) tribunal secretaries. This kind of approach might provide a happy medium between those who insist on human interaction in an arbitral proceeding and those willing to place their faith in the less fallible, but less palatable, prospect of “robot justice”. In 1986, one of the authors of this article took a seminar in university about Soviet politics. At the time, the Soviet Union was embarking on the risky political experiment of “Glasnost” (openness), even as it was embroiled in a ruinous war in Afghanistan. The price of oil, the Soviet Union’s most valuable export commodity, dropped precipitously, and it suffered the catastrophic meltdown of a nuclear reactor at Chernobyl. Despite all this, the seminar’s instructor – a noted expert in Soviet studies – confidently assured his students that the Soviet Union’s political system would remain intact for the foreseeable future. If by “foreseeable future” the instructor meant the rest of the 1980s, then he was right. But otherwise one has to question, with hindsight, how this expert could have been so off-base in the face of overwhelming evidence that the Soviet Union was on the verge of collapse. There is arguably similarly strong evidence to indicate that the way we conduct international arbitrations may be on the verge of fundamental transformation. There is widespread dissatisfaction among arbitration users with the time and cost of proceedings and the “business-as-usual” indifference of the arbitral community, at the same time as technology is becoming available and affordable to address users‘ grievances about the process. 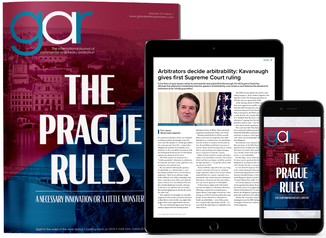 Despite this, arbitration’s cognoscenti focus on every conceivable issue – expedited proceedings; the potential role of investment courts in lieu of tribunals; the problem of arbitrator selection; third-party funding – except the impending transformation and how they will remain relevant in a technology-driven process. Danish physicist Niels Bohr once quipped that “predictions are hard to make – especially about the future”. This article has attempted to trace the likely path of technology in arbitral proceedings from today until the next generation of arbitrators (if there is a next generation). It is for future generations to judge if we were right. The one certainty to which we can point is that, as arbitration is increasingly criticised for getting slower and more expensive, the technology that could be used in the process is becoming cheaper and more sophisticated. The economics of dispute resolution thus suggest an inflexion point somewhere in the next decade, at which time the benefits of technology are brought to bear to improve the process that we know today. A version of this article appears in "The Brave New World of Arbitration: The Role of Technology and the Internet in International Arbitration", edited by Christian Aschauer and Maud Piers, a forthcoming publication from Cambridge University Press.